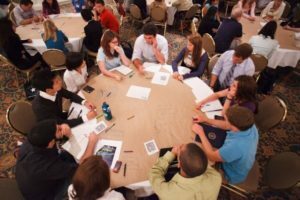 IDEAS For Us was founded in Orlando at the University of Central Florida (UCF) by Chris Castro and a group of classmates in 2008. 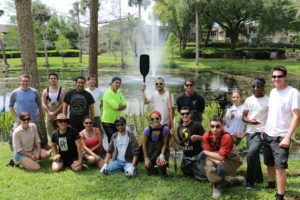 After taking a class by famed environmental sociologist, Penelope Canan, students decided to commit to making UCF a greener and more sustainable campus. Soon, IDEAS For Us would evolve into a branch-based college club focused on action projects, rather than advocacy. 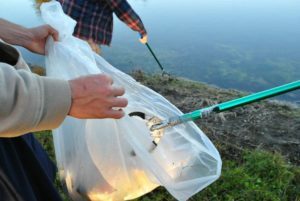 In 2011, Clayton Louis Ferrara joined Chris Castro and the decision was made to evolve the organization into an official 501c3 non-profit environmental charity with a board of directors. 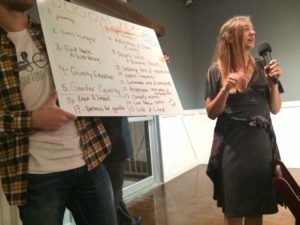 Over the next decade, IDEAS For Orlando has become the flagship branch of IDEAS For Us, creating over 40 different types of action projects, the flagship IDEAS Hive Program, and the infamous enterprise, Fleet Farming. IDEAS For Orlando has conducted projects, programs, and enterprises that touch each of the Five Pillars of Sustainability. The first IDEAS For Orlando project ever was a lake clean up at UCF and now that lake is called Lake IDEAS. The IDEAS Hive is held in Orlando on the first Wednesday of each month at East End Market from 6:45 – 9pm. Please reach out to [email protected] and we will connect you with the current leaders. Follow IDEAS For Orlando on Facebook and Instagram to learn more. IDEAS For Orlando is the headquarter branch for the IDEAS For Us USA presence.